Sponsorship is the heart of the Franciscan Family Apostolate Mission. Your sponsorship can change lives. The Franciscan Family Apostolate was founded as response of the Secular Franciscan Order (S.F.O.) to the plight of the poor in the Third World. Following its founder, Saint Francis of Assisi, the poor Christ is found in the faces and lives of the poor and oppressed of the world. The Franciscan Family Apostolate’s mission is to encourage a witness to the Gospel life preached by Jesus – the care and concern for the stranger in need regardless of race, color, religion or country of origin. Lastly, to develop and implement educational programs in Third World countries and in the United States to provide occupational training. 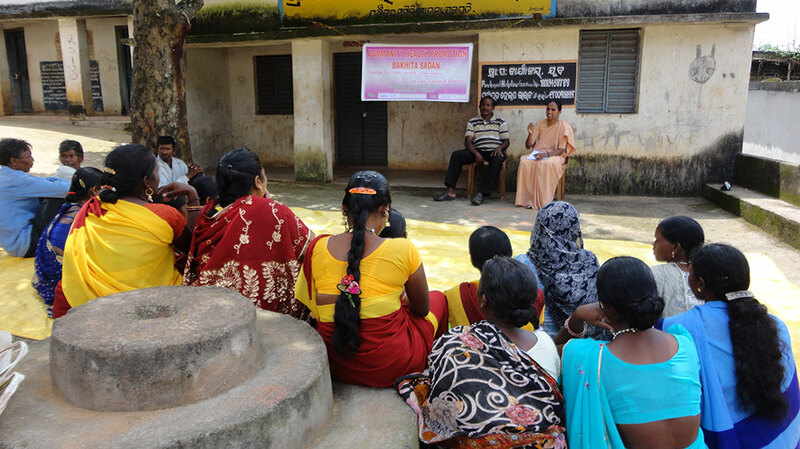 Here is an overview of the activities of the Alleppey, India office of the FFA in 2017. 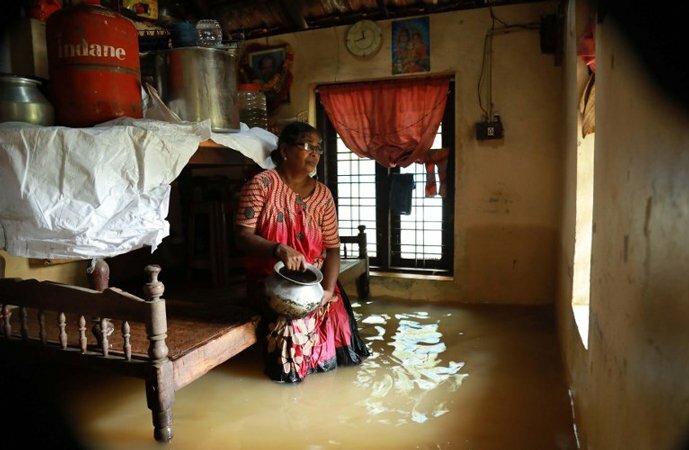 We have set up a special fund to aid those in need from the after effects of the devastating floods in Kerala in August 2018. 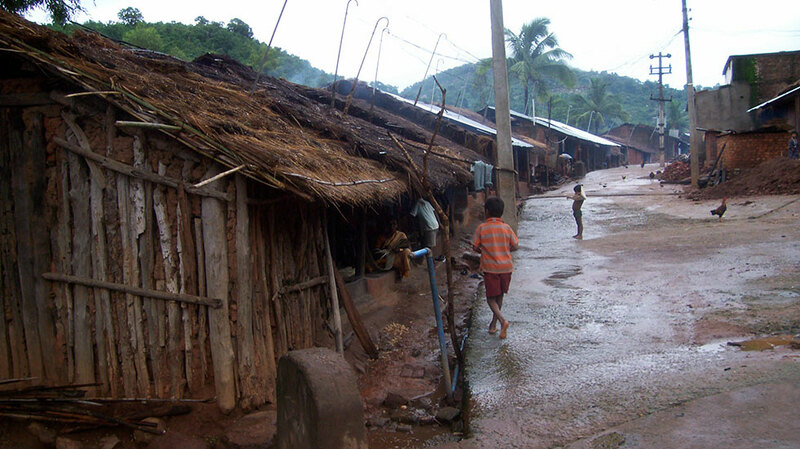 Many of our sponsored families lost homes and means of livelihood and are now threatened with hunger and disease. To read more about conditions and donate to this fund, please click here. When you sponsor a family, you give them the opportunity to improve their lives. 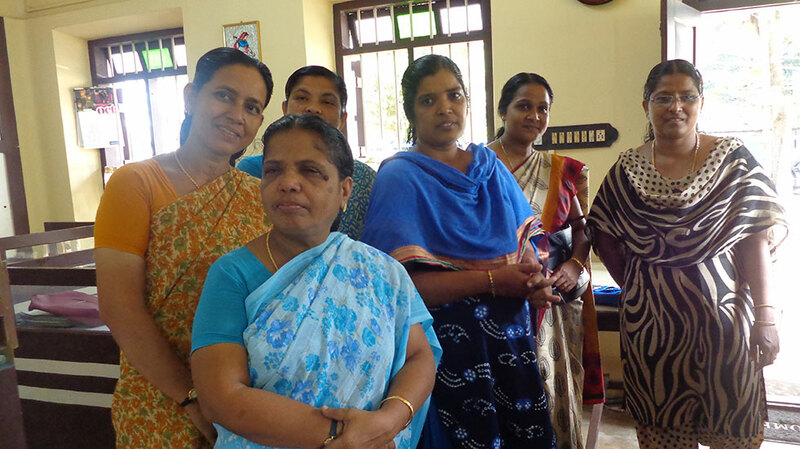 The staff in our India offices will monitor your family and keep a record of their progress to share with you. You also receive quarterly letters from your family. Your help makes a difference! As an example, the family of Joseph Gasper Kudiamssery began receiving assistance in 2002. 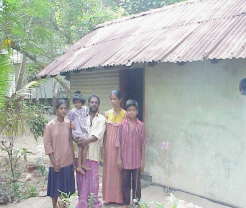 At the time, the family was living in a semi-permanent hut with a damaged roof and the parents were unable to provide sufficiently for their three children and along with one daughter had many medical issues. 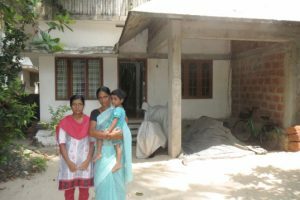 Over the years, with the aid of their sponsor, the children completed their educations, the family undertook the building of a home with government subsidy, and medical problems were treated. 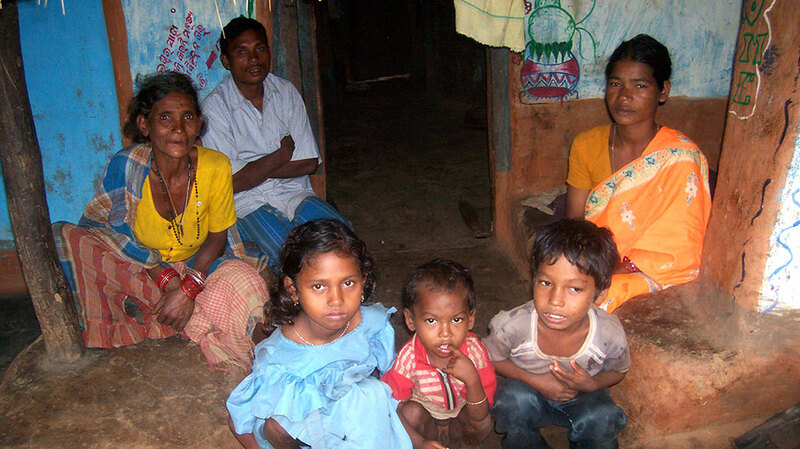 The family is now able to continue on its own without help from their sponsor. To learn how you can sponsor a family and make a difference in their lives, click here. As part of the FFA family sponsorship program in Andhra, we provide the family with resources to help them take a step towards financial independence. The asset might be some goats, or a cow. Or, perhaps the capital to begin a small roadside shop. 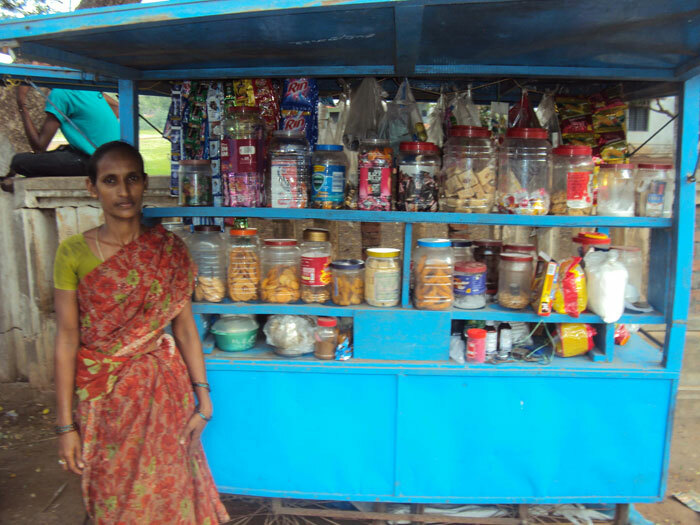 These shops proliferate throughout India in rural areas. People have limited transportation and depend on these enterprises for supplies. 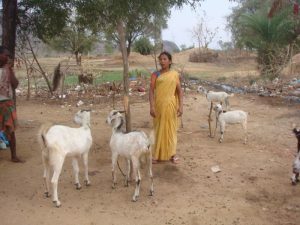 One way in which you can help the FFA with its programs is to make a donation to our Andhra Self Development Fund. We thank you for your support! To learn more, please click on this link. 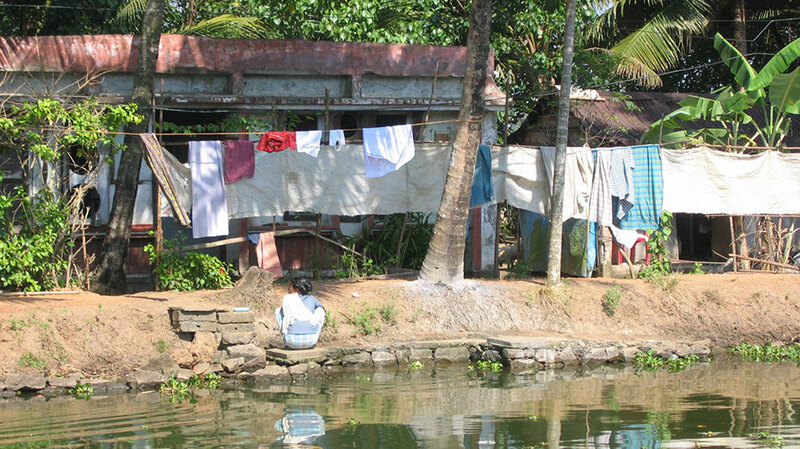 Almost 25 years ago, I was invited to sponsor a young mother of three with a sickly husband, living in a shack near the Arabian sea in Alleppey, India. Shortly after I accepted the sponsorship, their meager abode blew apart in a monsoon, making them homeless. 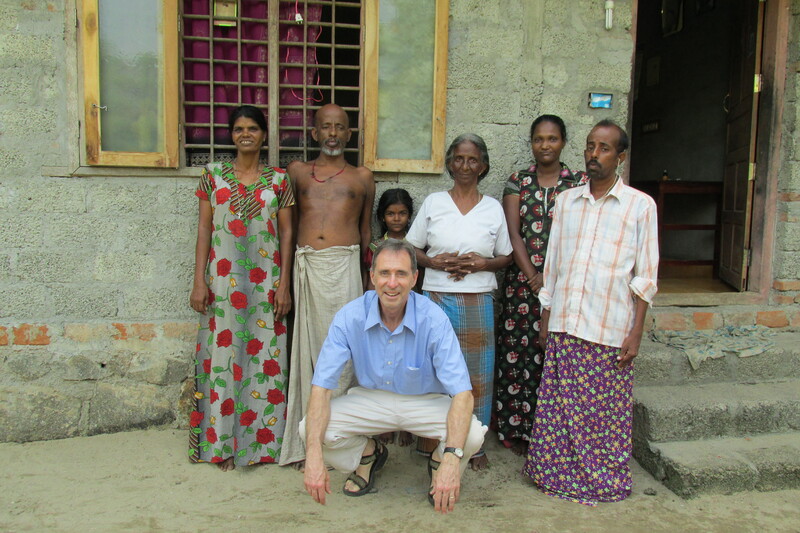 Over the next few years, I sent what I could to support the mother, Omana, and help her family build a home. I still remember the day I received a letter from Omana explaining that her situation had improved, she had purchased a sewing machine, and was now sewing garments for village women. She felt she could now support herself and her family and thanked me for her help…..
Years later I had the fortune to visit India and meet this most remarkable woman and her children. We sat together on her front stoop and exchanged stories about our growing children through an interpreter. 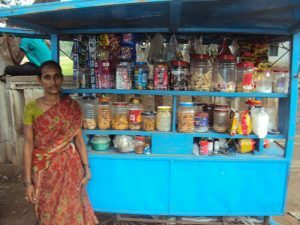 I continued to follow her progress over the years, at one point resuming sponsorship for a bit to help her children with vocational training. Today, all three children are healthy, working, and able to care for their parents. I have seen this type of success story repeated many times over because someone cared enough to forego the cost of a latte or two a week so they could help a family heal and become self supporting. If you would like to learn more about how you can make a difference in a family’s well-being through sponsorship, click here. Board member Judy Warner visiting with Omana and two of her children, Mahesh and Raj Lakshmi (the young toddler in the photo above) in 2011.